New York Painting Services has been offering a multitude of services to commercial businesses and residential homes since 2004 in Brooklyn and Manhattan New York and surrounding areas. Among our many pristine services include exterior painting. With years of experience, our experts have been proficiently painting exterior surfaces including stucco, bricks, wood and vinyl siding, cedar shingles, wood trims, doors, decks and so much more. A pristine exterior paint service can immediately enhance the beauty of any building, increase value and curb appeal, and provide a barrier of protection. 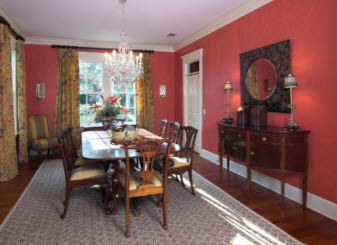 During our in depth consultation, you can dictate the custom painting requests as well as confirm starting dates and duration of the process. Our experts will entail the process and any answer any questions you have. New York Painting Services professionals have been masterfully trained and certified, along with possessing all necessary licenses and credentials to give our valued customers superior exterior painting services with professional courtesy and satisfactory application. You will not look elsewhere for future services. The thorough and meticulous preparation work New York Painting Services crew members perform means the exterior painting process goes smoothly and beautifully. Necessary repairs are executed to the exterior surfaces, along with appropriate maintenance protocols. We utilize professional grade equipment, tools, supplies and products, in conjunction with our technician’s expertise, your Brooklyn and Manhattan New York residential home or commercial business will receive superior quality exterior painting service. 	Pressure washing to ensure all dust, mold spores and other contaminates are thoroughly removed. 	Repairs and maintenance procedures are performed such as; caulk replacing, sanding away peeling or rough aged paint, siding repairs or any other needs the exterior of the building requires. 	Preparations are made to ensure paint messes and accidents are contained without blemishing other places. 	After project is complete, our crew members completely clean and remove equipment and waste. 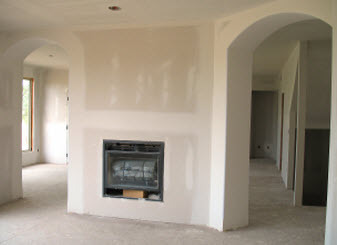 	The exterior paint is then inspected for customer satisfaction. Anyone who has ever had an exterior house painting service done sloppily and poorly knows how imperfect the overall aesthetics appears, along with the peeling, and inability to resist the natural elements, leaving your home exposed to catastrophic conditions. Getting the exterior paint refreshed will leave your home vibrant and safeguarded. 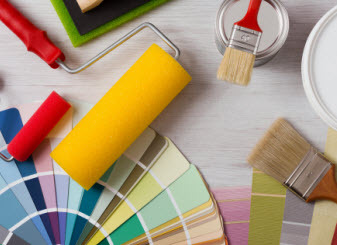 New York Painting Services has always done each project with precision and care to offer each of our valued customers with gratifying results. Commercial buildings need a fresh coat of exterior paint periodically, being prone to attract customers and employees, having the hottest new trend can help your business stand out. If your business doesn’t reach customers directly, it is still beneficial to demonstrate to your staff the quality of ownership you represent. Not only will they value your efforts, but they will be comfortable in a well maintained building. For commercial establishments that service the public, having your facility painted periodically suggest your intentions of longevity. Fresh paint stands out, especially on older buildings, and when the outside receives an exterior painting service from New York Painting Services, you will see the many benefits in customer retention and expansion. For your exterior painting needs; homes and businesses alike in Brooklyn and Manhattan New York, New York Painting Services professionals has you covered with outstanding results.